Caption (“Basic” tab) – Text to be displayed in the widget. 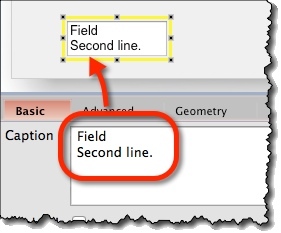 Vertical Alignment (“Advanced” tab) – Choose the text to be vertically aligned to top, middle or bottom. 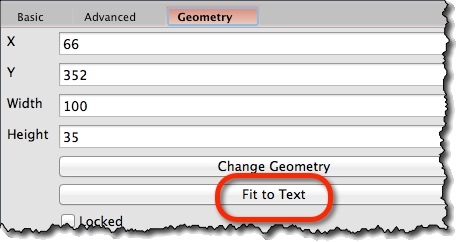 Fit to Text (“Geometry” tab) – Fit the width and height of the widget to the size of the text inside it.